Many people discuss self protection, specifically for the aura. When I was young I was taught to recite “the light of God protects me” and visualize an egg of white light around me for protection. This does work to push away really negative or evil influences and for youngsters. As I began acknowledge my uniqueness as a medium, I started researching and experimenting with self protection. It is important for every person to be self-aware regarding their personal energy, how they affect the world and how the world affects them. It is even more important for people who are especially intuitive. I discovered many things. I experimented with a variety of meditations and visualizations to hone the protection of my body via my aura. I eventually came to the conclusion that creating a barrier, a shell for the aura is not right. For years, I was under the assumption that wards and barriers are the tool for the job, because this is common practice. I was wrong. One of the most basic lessons in life is to learn to be connected, to friends and family, to society, to Universal Energy. We strive to be part of communities, even to be connected to higher selves. We are told to “be open” or open-minded. If we create barriers, it creates isolation, we are not truly open and this can be felt in our soul. There are fences, boundaries, lines, barriers of all kinds that exist here in this world. How do we feel when we approach a boundary? I feel frustrated. I don’t want to walk around to the gate, I want there to be nothing blocking my way. Realistically, many of those barriers are entirely necessary. I mean, I don’t want to share my yard with Ted Bundy. However, spiritually, there is another option: a filtration system. So, instead of visualizing a barrier I visualize a filter. I can then specify if I require a certain person or certain types of energy to be turned away and leave the rest open to flow in and out. It was difficult to refine instructions to myself. Now that I have, feel more grounded and balanced and do not have to work as much on protection. 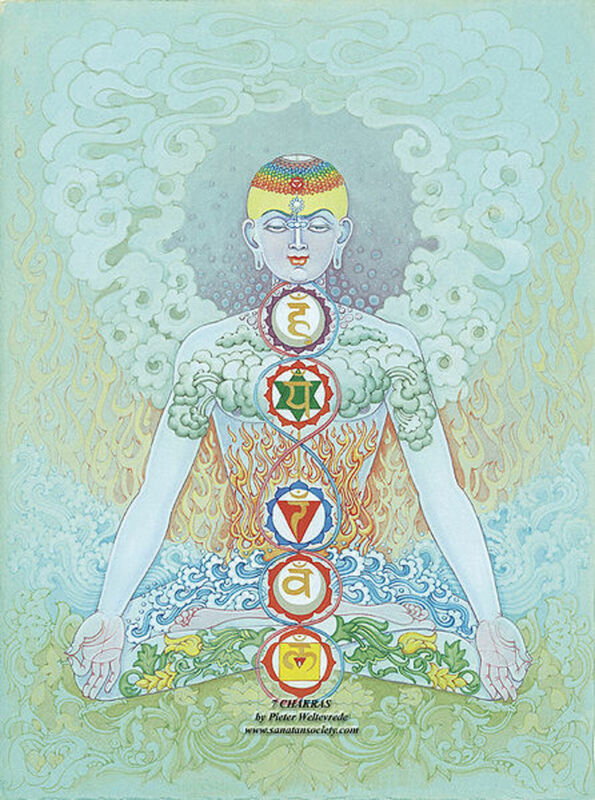 The chakras are laid out through the torso and have certain lessons and meanings associated with them. In Karla McLaren’s book, “Your Aura & Your Chakras, The Owner’s Manual” she does an excellent job of guiding a person to discovering the meaning of and the lessons from the chakras. After “getting to know” my chakras I can acknowledge that patterns of behavior and emotions are very connected to them. If I can recognize a certain life lesson as it is occurring I can use the information that my higher self is trying to communicate to me through the chakras. Admittedly, when I am having a hard time, talking to my chakras is not at the top of my list, but it should be. I try to conduct a guided meditation for myself every month or two specifically to connect to each chakra individually. This helps me process things emotionally when I am missing the point. To me, the most powerful and amazing source of energy in the body is in the navel. It is not the third chakra. Based on my experience, it is an entirely separate source of energy. In all my years of reading and exploring life, I have only found one reference to it in Carlos Castaneda’s book, “A Separate Reality”. There is a scene in the book where Carlos is watching several shamans climb over a rocky outcropping next to a waterfall. He misses the part where the shamans are climbing the impossible. He later learns about an energy center at the naval that can be used as additional appendages. This center of my body was “opened” up by an incorporeal being. 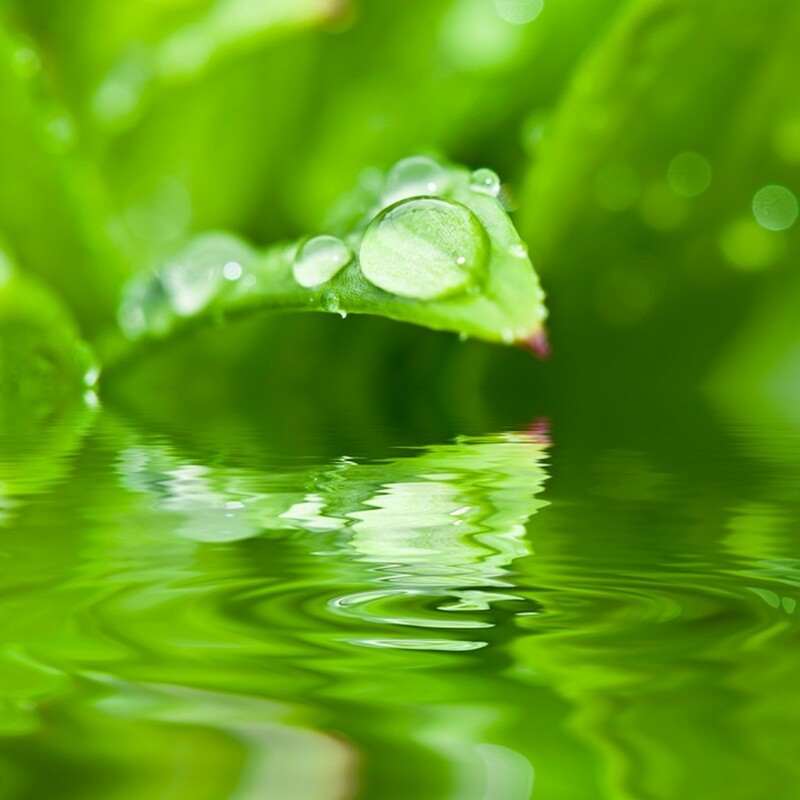 I was walking through my quiet house on my way to bed and saw a glowing, greenish male; he took his hands and pulled at my navel and I felt ribbons of energy flow out. It felt really weird, but good…in an oh-my-gawd-what-is-happening way. For lack of a better term, I call them belly strings. They are tendrils or ribbons of energy that generally stay closed up (visualize a sea anemone). With practice a person can elongate them and use them as an energetic appendage. I believe the energy hot spots in the hands and feet are more likely connected to the Flower, not the chakras. Further, I suspect this area of the body may be the source of certain psychic abilities, like telekinesis, or be the source of those amazing stories you hear about a mom pulling a car off her baby. After awakening this part of my body, I have been experimenting to see what I can do. Most of the time I can push out this tendrils of energy at will. They also pop out as an involuntary response, like if I trip. I can feel it physically happen, though I cannot see it with my eyes. I have also experimented on others (not in a sinister way). I have two nieces whose Flowers have opened too. I can walk up to them, take my hand and pull out their belly strings. I can feel this physically on my hand. I can even wave my hand through them as if they were floating threads of seaweed. It’s sort of warmish and tingles. When I can, in a not-too-freakish way, I feel other peoples’ navels to see if their Flower has awakened. I have not found very many. I have not been able to experiment exchanging energy with another person through these tendrils, though I have tried a little. I suspect being intimate with someone who could do the same would be outstanding. Barnsey - If your "flower" energy is awakened, you may be unaware of your ability to push people away with it, which could explain your powerful energy. As long as you are aware, you can work on it and give people the impressions you choose. Good luck and thanks! CR - Thanks! 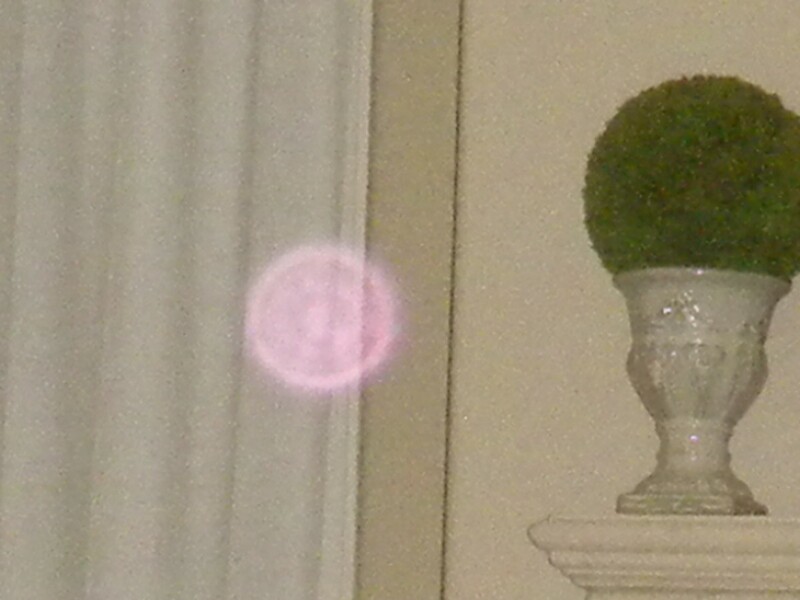 I still can't "see" auras, but don't worry about it since my other senses and visualizations make up for it. I suspect that energy worker helped you awaken your "flower". 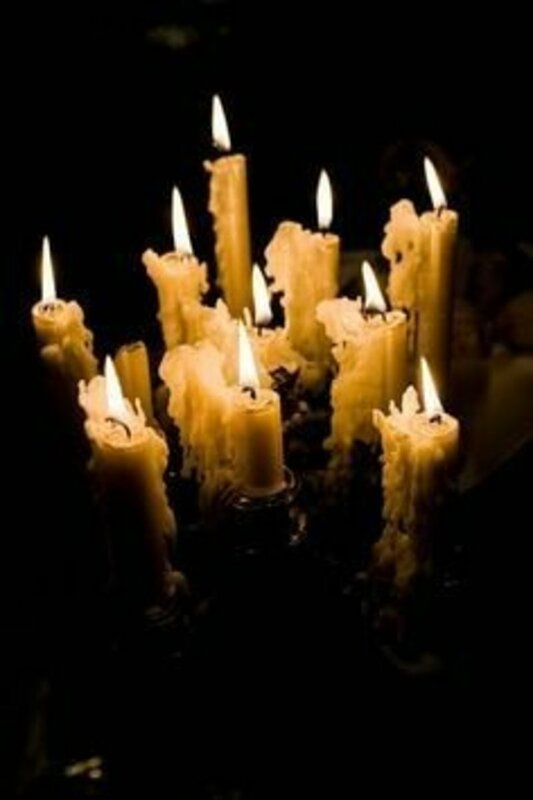 It can enhance many of our natural intuitive abilities. Nice to hear about your experiences. Fascinating hub. I have been working with my intention daily, and one of the first things I began to notice was having an awareness of my aura--it's color, which part of the body the color was associated with, and so forth. 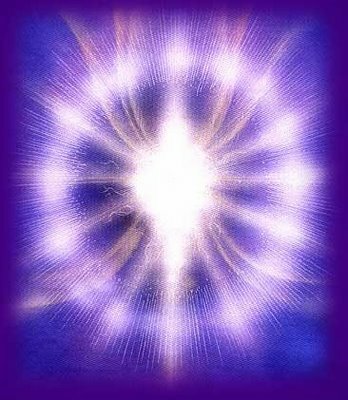 I have never been able to see auras, but after doing the intention work I could see my own, just, spontaneously. I had a couple of sessions with an energy worker once, and the change was all associated with my belly area, which surprised me. I wonder if it was the flower thing. Don't know. Afterward, this terrible block there was released and ack, it wasn't that pleasant, but once that was over, what a change. How true! I have built a nearly impenetrable wall around my core that wards away both good and bad energy. Not what you want to accomplish. Intimidating is the feeling people get when their soul energy encountered yours? This explains so much to me. I have always been able to back people up a few steps with a glare, but I could turn my back and accomplish the same effect because of my threatening wards! Great Hub! 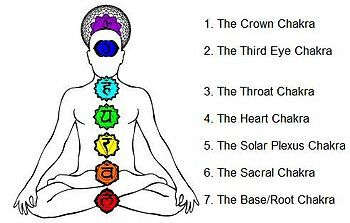 I need to get in touch with my chakras, this ominous feeling people get from me extends too far and I wonder now if it has effected my job search as well.